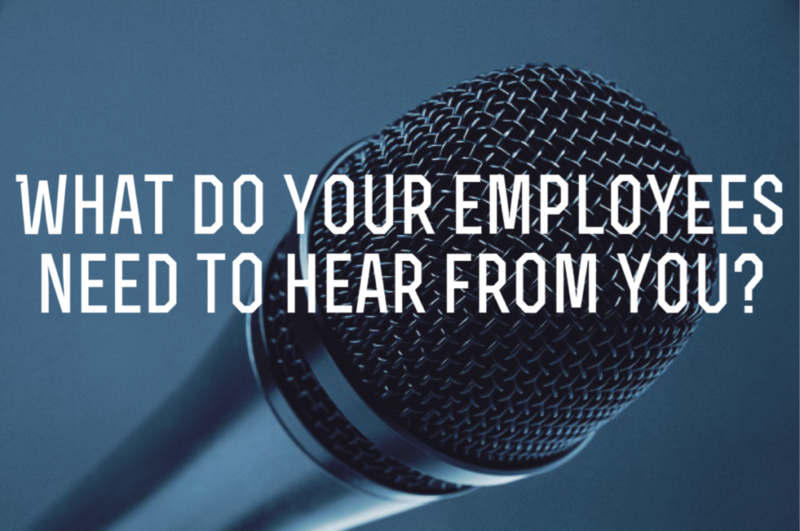 How has communication in our society changed what employees need to hear from you? Short. Visual. Repeat Key Messages. Clear Call to Action. How much are you mirroring these principles in your organizational communications? 1. Go on an Email Diet. Cut the calorie content in your communications. It takes a little more time, but you’ll gain more attention and action. On an airplane flight recently, I unintentionally noticed my seat-mate going through her email. (I didn’t snoop. Really.) She was paging through them at a rate of about 15 seconds per email. Many looked DENSE. How much did she retain from those carefully crafted, highly detailed emails? Newsfeed on Facebook was a game changer. It made it easy (and expected) to share frequent, short updates. This is what organizations need to model. Use a photo or video clip. Smart phones make it easy to include a visual element. Learn what good marketers know: You gain 40-50% increase in engagement and clicks (opens) with a good photo. A CEO of a micro-brewery was trying to get across to his people the challenge they faced, of growing market share. He went to a liquor store and captured a photo of the “Beer Wall” – 8 refrigerator cases including about 38 brands of import and craft brews. That photo was circulated through Marketing and Sales. It did more than any speeches could. Get your top leaders comfortable with video. Short 1-2 minute updates with PowerPoint slides interspersed go further than email for communication updates on the business. No excuses! Step outside what’s comfortable and create a new habit. You Tube boasts 1.7 BILLION unique visitors every month, and as a powerful medium (visual, auditory) you also gain more benefit in building relationships. Make sure some of your meetings are on Skype or Google Hangout with video. You’ll get more attention. 3. Reinforce your Culture & Values. People care about meaning at work, more than ever. Reinforcing the culture and values shows them you do too. Ask questions in Town Halls. Otherwise, people check out. No more than 3 slides (30 seconds each) before you ask for interaction and feedback. It can take patience and practice to train people to interact; most people are in a trance of being spoon-fed TMI. Changing this is well-worth the engagement ROI.